I simply cannot have enough of the rapids of Pagsanjan Falls! With a very dear friend, I went back to Pagsanjan, Laguna to relive my shooting the rapids experience in Pagsanjan. Last time I was here, I was with my friend Mek and we went to the various tourist spots in Laguna. Everything went as planned and we were enjoying our boat ride to the falls. From Buendia, Manila or Cubao, board a bus (DLTB or Greenstar) going to Sta. Cruz, Laguna. Travel time from Manila to Sta. Cruz, Laguna is 2-3 hours depending on the traffic in Los Banos, Laguna. Fare is P140 from Buendia. From Calamba, fare is P61 only (in some buses P80) and travel time is only 1 hour and 20 minutes. Reaching the capital of Laguna (Sta. Cruz), board a jeep going to Pagsanjan and alight at any of the resorts for your shooting the rapids adventure. Good thing the weather was sunny that day. Along the way, the view to the falls was really captivating and the ride was simply amazing. The adventure began once we hit the rapids. Our boat was against the rapids. There were a lot of tourists enjoying the rapids that day. We did not mind getting wet. We were all smiles. And enjoying the boat ride. During the boat ride, you have to take your souvenir pictures. Finally, after nearly one hour, we reached Pagsanjan Falls! The adventure will not be complete unless you go to the inner part of the falls and we did! The current was so strong once you are inside the inner part of the falls. After staying for an hour at the falls, we decided to go back. We took our lunch and headed back to Manila. And the trek to Taal Volcano has also two sides. I explored the easy part about three years ago (First Trek). I dared to explore the other side last June 2015 with my friend "Buddy"
who happens to be a local in the town of Talisay, Batangas. 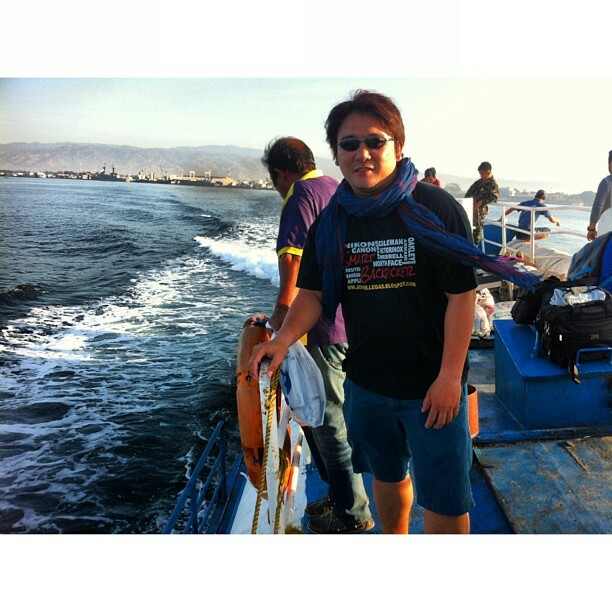 I arrived in Talisay, Batangas on board my motorbike. Talisay is just 25 minutes away from my hometown (Tanauan City). Buddy offered the boat for free (usual price is P1,500 - P2,000). Bus terminal can either be at Cubao (near GMA 7) or in Buendia, Pasay, Taft. Board the bus with the signage - "Batangas - LIPA-TANAUAN"
Do not board the one with the signage "CALABARZON!" Normally, travel time is 1.5 - 2 hours. Fare is P99 (or if discounted 79). Alight in Tanauan City and ride the tricycle to the Talisay jeepney terminal. Fare is P10.00. The fare to Talisay is P26.00. Travel time is 30-40 minutes. Alight in Talisay and proceed to any of the resorts and they will offer the boat ride to Taal volcano. Good thing the weather was alright that day and the boat ride to the island was smooth. Taal Lake contains islands and islets namely: Napayong, Bubuin, and Pirapiraso. Travel time to the island was approximately 45 minutes after a brief engine trouble. It became cloudy upon arrival in the Taal Volcano. We feared that it might rain heavily. But it did not dampen our spirits, we will trek Tall crater lake today! With the help of some of the locals, we started our trek to the lake. Taal Volcano (the island itself is called "Pulo") is bordered by four towns namely: Calauit, Lipa; Tibag, Talisay; Panikihan, Laurel; and Alas-as, and Pulang Bato, San Nicolas. After 45 minutes of uphill ascent, we reached the viewing area. But the exploration did not stop there. We proceeded towards the crater lake and it took us another 30 minutes of walking. Finally, after 30 minutes, we reached the crater! We wandered around and took our souvenir pictures. Buddy and his friends even took a dip in the crater lake. We stayed for only 45 minutes and we headed back to the jump-off point. The trek back to the boat was a bit more exciting for all of us. Back at the viewing deck, we met some tourists from Metro Manila who were also trekking the Taal Volcano crater lake. We ended our trek with a very sumptuous boodle fight and past 1 pm, we headed back to Talisay. Thank you Buddy for the Trek! There are no shortcuts or instant answer to this question. You have to experience it first. And your experience will make you a better traveler. But for the meantime, I will give you tips on how to do it. First of all. PLANNING is the key to your successful travel. You simply have to plan ahead. There are plenty of questions to answer before you can start traveling alone. And I have listed herein some of the basic questions and tips in traveling alone. 1. When do you plan to travel? There are three possible choices, summer, rainy season or during Christmas season. You can enjoy hiking, island hopping, diving, snorkeling or beach bumming during summer. 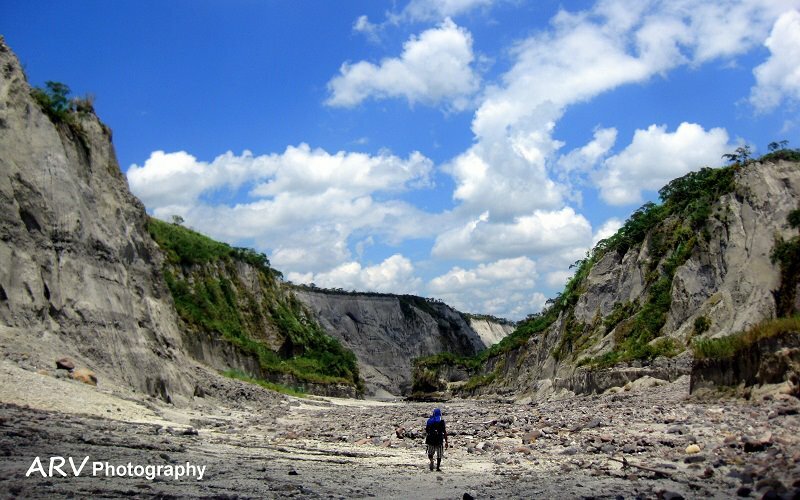 While during rainy season, you can indulge in spelunking, river rafting, or waterfalls chasing. And during Christmas season, you can enjoy the cold weather in Sagada, Baguio, Tagaytay or Banaue. 2. The crucial question is what do you intend to do? Do you intend to relax, explore or have an adventure of a lifetime? 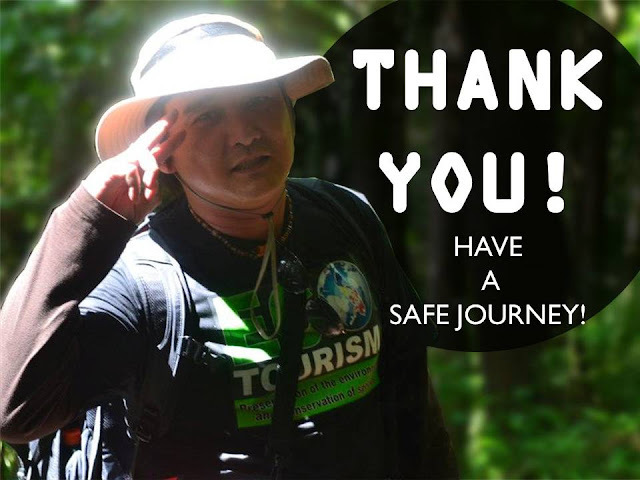 If you are into adventure, there are various activities that you can try like spelunking, trekking/mountaineering, waterfalls chasing, river rafting, beach bumming,diving, snorkeling, nature tripping, nature photography, bird watching, whale watching, surfing, wake boarding, sand boarding, sky diving or cliff jumping, among others. 3. The next question is where are you going to travel? You can choose from either Luzon, Visayas or Mindanao for your destination. You can surf and read travel blogs for the best destinations. My three best destinations are Sagada, Batanes, and El Nido. 4. Then, how much do you intend to spend? You have to work on your budget. You need to save for your travel needs. And you need to start saving right now. Traveling entails a lot of expenses but it is worth every penny of it! 5. What are the places that you intend to do in your itinerary? Reading travel blogs will give you an idea on what to do Make the best and detailed itinerary that is flexible and would fit your needs. Try new things in life. Life is short and you have to live it to the fullest! 6. How to book your travel? It is better to ask the help or guidance of a learned person in booking. When I started to travel ten years ago, I had no knowledge on how to book my hotel or my ride. But I asked the help of my friend who was well-versed in the internet booking and after that I learned how to book on my own. There are plenty of online hotel bookings such as agoda.com or booking.com, among others. But the best part of traveling alone is being a transient. You have no definite hotel booking simply because you do not have any idea how long you will stay in the area. Though it is a bit risky, you will have flexibility in your chosen destinations. On the night prior to your travel, pack light and bring the travel accessories that you need. Bring an octopus adapter and a power bank. 8. During the travel, what are you suppose to do? Always be on alert. You cannot be complacent. You have to be attentive and observant. Your own safety is your primary consideration. One bag will do. The bag should contain a weight of 7-10 kilos only. My suggested brands are The Northface, Columbia or Deuter. For your compression needs, I highly recommend Tesla Compression wear. TESLA Compression wear is available at ZALORA Philippines. Know your allergies and stuff that makes you uncomfortable. My suggested brand is Sandugo. If you get two same answers from two different people, then you are on the right course. It usually rains in the afternoon. It is better to explore early in the morning. My suggested brand is The Northface. Unfortunately, you have to be very cautious when you are traveling in the Philippines. It pays to know where you are going. There are times that you cannot communicate with the local because you do not speak their dialect. By simply pointing at the map, the language barrier will be lessened a bit. There are still areas in the Philippines without ATMs or credit card facilities. l. Eat light. Drink light. Mingle more. You do not want your bag to be very heavy. Be aware of your asthma, high blood or bone injuries in your chosen adventure. o. Bring a plastic for your dirty clothes. Segregate the clean clothes from the dirty ones. But do not post in facebook or other social networking sites your present destination. The Philippines has sari-sari (retail) store and riding a local ride needs plenty of lower bills or coins. You do not need these weapons in your travel. We have a variety of mouthwatering delicacies. This is part of your own safety and security. You have no intentions of getting lost. Do not wear expensive jewelry and try to blend with the locals. You need the energy. Sleeping is the best way to regain strength in your travel. We have a very warm weather especially during summer. This is part of being street smart. Knowing the weather is a must when you travel in a tropical country. I started traveling alone in 2006 after I resigned in a Quezon City law firm wherein I was a partner. I made a major decision. And I decided to become a full-time teacher in Far Eastern University. But teaching alone made me think again. I needed an outlet I need to live my life to the fullest. I must explore, enjoy, and reap the fruits of my labor. I wanted to travel! Then, the big question came. should I join a group tour or just simply travel alone? As a teacher, I was given a handful of holidays, semestral breaks, and leaves for my travel. And so, I decided to TRAVEL ALONE..
And after ten years of traveling in the Philippines and in twelve countries, I want to share the benefits of traveling alone. I know it is very difficult to convince people that traveling alone is better than traveling in a group. But let me share first the perks and the reasons why one should travel alone. And here are the reasons why you should. Yes, freedom. Everybody wants freedom. Freedom from the hassles of life. Freedom from stress. Freedom to decide, to choose, and to explore. You will be the master of your own travel. Nobody will be there to convince, influence or worst annoy you in your travel. The itinerary of one's travel is an important factor for the success of your travel. You can now decide how long you would stay in a specific destination. Even though you have an itinerary, if circumstances warrant, you can easily change your itinerary to your satisfaction. You do not have to adjust for your travel, your travel will adjust accordingly. The Philippines offers various tourist destinations and it will work on your favor if you can travel at your phase and on your own choosing. Preparing the bucket list is another must for a traveler. The feeling of fulfillment once you accomplish a particular task is priceless. Now, you can focus on the destinations that you really wanted to explore. Chances are if you are in a group tour you will not indulge in talking or mingling with other people or even strangers. But you have no choice when you are traveling alone, you simply have to talk and mingle with other people. Simply asking for directions for your destination is already reaching out to other people. Additionally, you will have plenty of time to experience, observe, and even practice the culture and traditions of the people that you encounter. Nobody is there to ruin or spoil your activities. You can indulge in spelunking, river rafting, trekking, waterfalls chasing, diving, snorkeling, wake boarding for hours. Simply enjoying your life without someone there to spoil it for you. You do not need to adjust to somebody else's needs. Your own needs is your priority! The feeling of empowerment is in itself a motivation for you to travel alone. There are so many intangible benefits of traveling alone and probably this is one of the best reasons why you should travel alone. After working for hours, days, weeks, months or years, now you have the authority and opportunity to be responsible for the outcomes of your decision and live with it. Traveling alone in Mindanao is in itself a big challenge. It gives you the extra dose of thrill, adventure and adrenaline. After your travel, you will feel more confident and you will crave for more. You survived being alone! Budget is the primordial consideration for your travel. A backpacker's hotel is the best option for my stay. In my travels in Bukidnon, Sagada, Camiguin and Batanes, room rates vary from P150 to P300. You will not feel that awkward feeling of being left alone or behind or being envious to the accomplishment of another. Along the travel you will make plenty of mistakes. Do not worry. It's normal. But your have to learn from your mistakes and never commit the same mistake on your next journey. On my part, I made a list of the errors that I have committed so that I will not commit it in my next travel. Sitting alone either at the top of the mountain watching the sunrise, or in long stretch of the beach watching the sunset or in the hills of Batanes looking at the horizon, you will find time to discover yourself. You will have plenty of time to think about your past, present, and your future. You will learn new things about yourself along the journey. And you will definitely smile and be surprised! Now since you are traveling alone. You need to be comfortable in your journey. Traveling alone needs the proper gadgets and apparel for your travel. It is important to document your travel. You can bring your own camera, tablet, notebook, cellular phones and other gadgets. For your bags, jackets and shoes, you can choose from either The Northface or Columbia. For your sandals, my favorite brand is Sandugo. For your compression wear, Tesla compression wear offers the best and most affordable wear in the market today. Tesla compression wear is available at ZALORA Philippines. Finally, take into consideration your own health and safety. NOW we are ready to travel!